Before managing resources, make sure to see that it's a module that is well adapted to your needs. See this article if you are not sure. 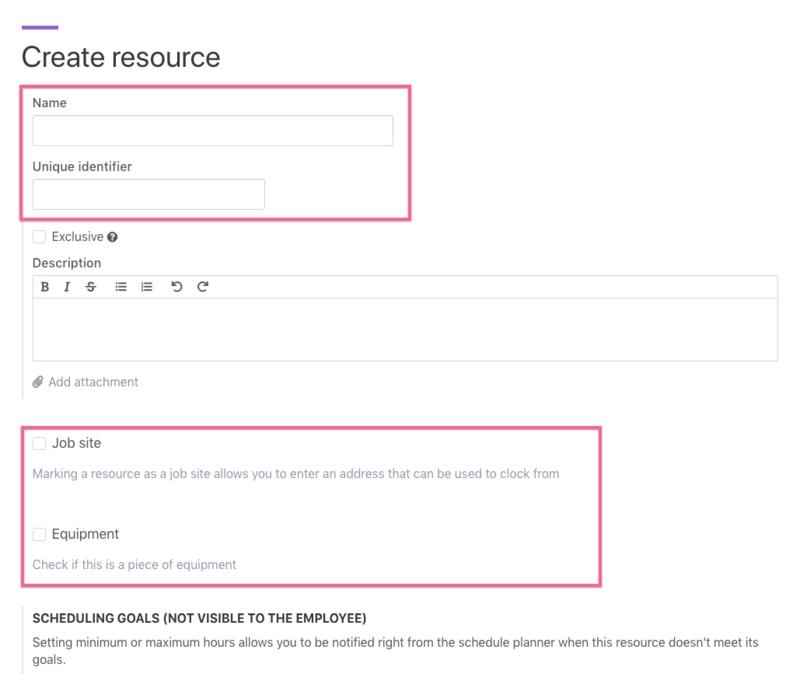 Once created, resources can be added directly in shifts in the scheduler (add a resource). To create a resource, simply click on the green button Create resource on the top right of the Resources tab. Note : If you create a Job site you have to allocate an address! Resources can be classified as a job site or an equipment. Job sites give you the opportunity to add an address on Google maps that will let the employee visualize the location. Il will also let the employee clock in on the geofenced site. The equipment type will let you manage assets (example: a vehicle) and assign them to the desired employees. To modify a resource, simply click on the resource itself (in the list) and click on Edit (top right). On the same page but on the bottom right it is possible to Archive the resource.